Welcome to NicholasJonasBroadway! 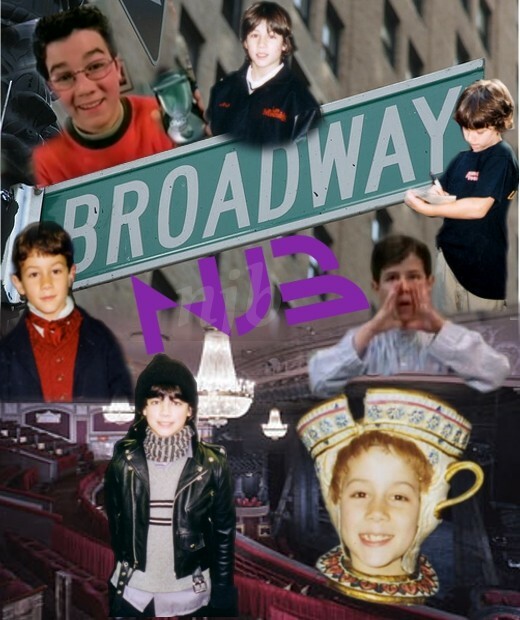 This is the first fan site for the Jonas Brothers' Broadway days! Here you will find any information we've uncovered about their early career. We are in no way affiliated with or endorsed by the Jonas Brothers, the Jonas Group, Hollywood Records, Shirley Grant Mgmt, Broadway, or any other affiliates. We just love theater and are big Jonas fans! Be sure to sign our guestbook! Like our site? Share it your friends, family, dog, bird, fish, Jonas posters... whoever you want! And keep checking, we are always updating the site with awesome info, rare photos, videos, and audio download! Also note: Lately people have been stealing our videos and pictures and not giving us credit. Please guys, if you take the videos or pictures, please give credit to the original source! Especially if the original source is not us (i.e. credit Shirley Grant, Ali Brustofski, the Restaneos, etc.) We work hard to bring you the rarest pictures and videos. Please be respectful and give proper credit to us (because we actually pay for some of that stuff) or to whoever we credit. Is that really too much to ask? PHOTO: 15 YEARS OF "THE SOUND OF MUSIC"! PHOTO: EARLY JONAS BROTHER SHOOT! An interview with 12 year old Nicholas! "The Word of God says to reach everybody, so that's what I really want to do. [...] My motto is to be a light. That's what I want my message to be."